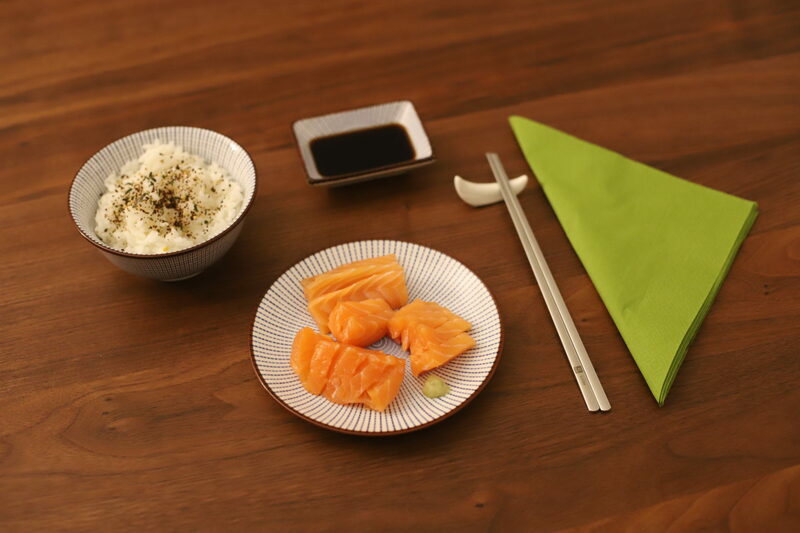 This post describes how to cook sushi rice for recipes like salmon sashimi or grilled salmon. It’s served in a bowl and is flavoured with some Furikake. Sushi rice is short and has a sticky consistency. It goes very well with fish but can also be combined with veggies or meat. We refer to this sushi rice recipe in our Sake Sahimi and Grilled Miso Salmon recipes. Check them out. The sushi rice used for nigiri sushi (rice with raw fish on top) is made differently as it’s flavored with rice vinegar and cooled afterwards. We will bring you the recipe for nigiri sushi another time in another post. 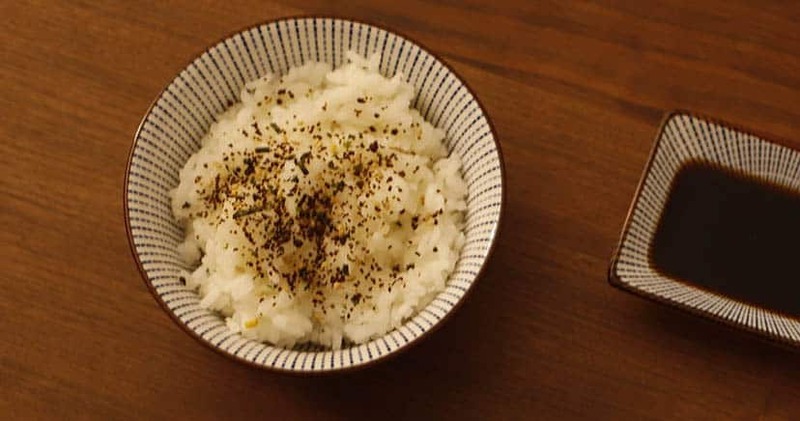 This recipe describes how to cook sushi rice for serving it as a side dish. 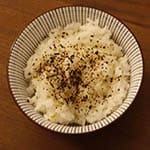 The rice can be saved warm and goes well with fish, veggies and meat. Put two cups of Sushi rice into a bowl and wash it by adding fresh water and rinsing it. Repeat a few times. Put the rice into a small cooking pot, depending on the number of portions. Add 3 cups of fresh drinking water with the same cup you used to measure the rice. Put the cooking pot on the preheated stove with maximum heat. As soon as the water starts to cook, drecrease the heat to medium or slightly less than medium. Cover the pot. After 10-15 minutes, start checking the rice. Make sure it doesn't stick and burn. In case it starts sticking, slightly stir the rice and add water if the rice is still not tender. As soon as the rice is soft and tender, turn off the heat. Add some salt and serve in a small bowl. Optional: Garnish it with Nori Furikake.